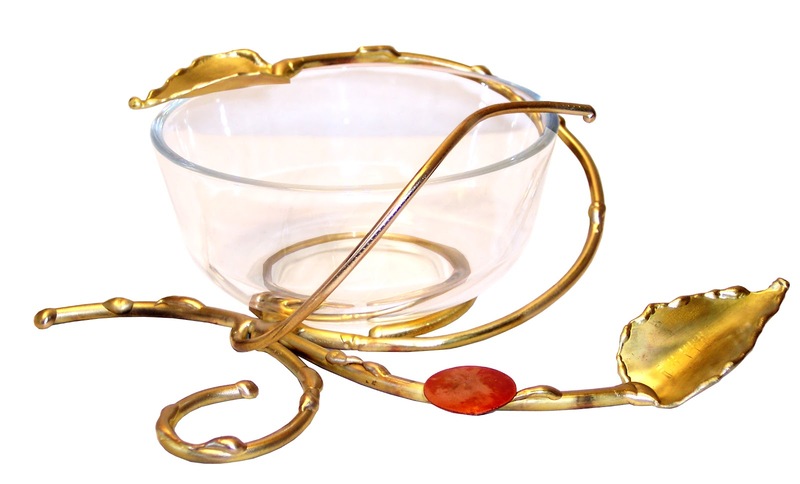 Design Megillah: Meet Gary Rosenthal and Win a Honey Dish! Meet Gary Rosenthal and Win a Honey Dish! I'd like to introduce you to one of my newest sponsors, The Gary Rosenthal Collection! I spoke with Gary a few weeks ago--having gone to art school myself and graduating with a B.F.A., I am fascinated with artists that make Judaica since it's something I've always wanted to do. DM: Gary, what training do you have as an artist? GR: I am self taught. 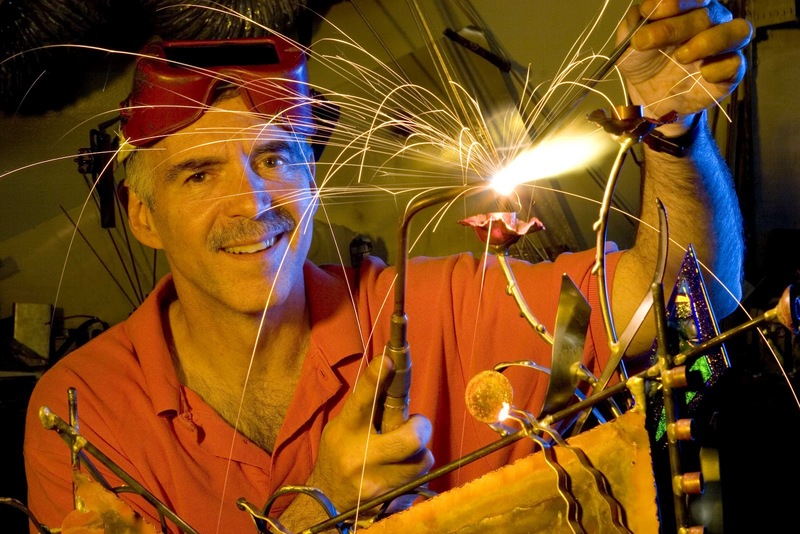 I dropped out of college, (Cornell university in 1973) and went to work for my dad as a stove repairman where I learned to use an oxy-acetylene torch repairing broken cast iron stove grates. I loved melting metal together and in my spare time I started to create art. I went to museums and also looked at other artists work to develop my craft and own personal style. Since I grew up in a small business it was only natural for me to sell the things I made. By the time I went back to college I was already selling my handcrafted art work through local art shows. I enjoyed making the art and selling it as well and eventually went back to get an M.B.A. from Darden School, University of Virginia. I developed a nice art business that at one time employed over 50 people making Judaica. DM: How did you become interested in doing Judaica art? GR: I was traveling around the east coast selling my work at local shows. I was mainly creating small figurines, dancers in bronze for the Kennedy Center for the Performing Arts or lacrosse figurines for the Sport's Hall of Fame and other decorative tabletop pieces. At a show in Baltimore, MD. at the J.C.C., a client asked me if I could make a menorah for them. I made several menorah for the next show and they sold immediately. After that experience I added mezzuzah, shabbat candlesticks, dreidels and more and they all sold as fast as I could make them. DM: Where do you get your inspiration? I would think it would be hard coming up with new designs all the time! 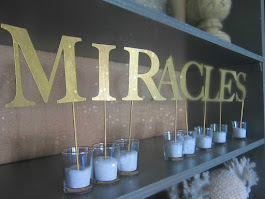 I am inspired by the stories of the bible and also by the function of the item I am creating. My goal when I started was to make Judaica that was pretty enough to leave out year round. 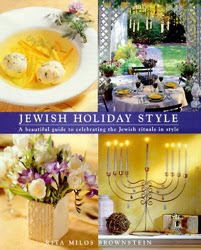 It's hard to believe today but in 1978 there was little Judaica and almost nothing that had a contemporary look to it. I want to make Jewish functional art and art that had a Jewish function in the same piece--that is still one of my primary goals today. I like to innovate in design and a good example of that are my vertical seder plate collection--this piece takes less room on the table and makes it easier visually to tell the story of the passover through food. We try to create products that fill a need as special gifts and design accordingly and a good example of this is our wedding glass shards collection where the broken glass can be enclosed as a memento in a mezuzah that has "I am my beloved and my beloved is mine" silk screened on the case along with the shin. 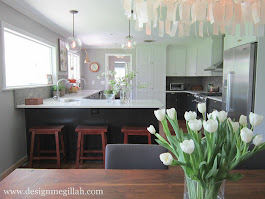 My design is driven by the function and the needs of my audience and my imagination. DM: Tell us a little bit about your hiddurmitzvah project. I think of my self as a social activist and organizer who happens to be an artist and so I have tried to use art to get others involved in good work. I believe my sculpture is more than the function and the aesthetics. It also contains the spirit of those who create the piece. We have several autistic associates on staff who help make parts, a substantial portion of our profits over the year go into foundations to support arts education for children. My work embodies a certain ruach, Jewish spirit but also my social perspective. It really matters to me how the sculpture is made because I think sacred work should have a spiritual creation. Our hiddur mitzvah project, www.hiddurmitzvah.org, is built on the foundation of our art and my desire to get others involved in art and tzedakah. 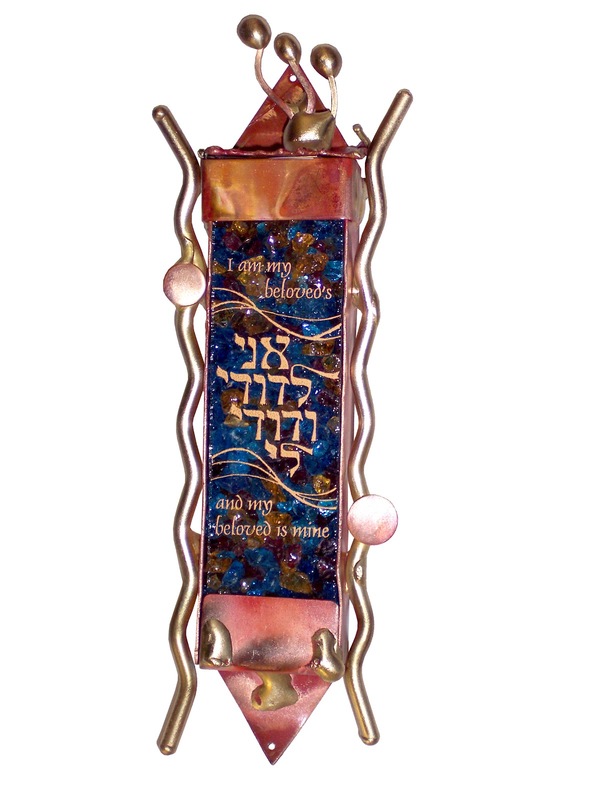 I have put together a program where we help others create Judaica. I have a kit that allows others to make glass mosaics that we fire back at the studio and incorporate into a shabbat candlestick, menorah, or other piece of functional art. We have literally worked with tens of thousands of people all over the world on this project with proceeds from making shabbat candlesticks in Minnesota going to feed Jews in Argentina. After hurricane Katrina we helped hundreds of families all over the U.S. create 500+ menorah that were given to Jewish families in New Orleans who had lost everything in the floods. We have a special program, www.glassribbon.com, where we support those touched by breast cancer. 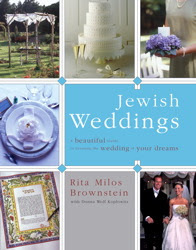 Don't you love his story about working for his dad torching cast iron stove grates and now making beautiful Judaica? Now for the best part...Gary is giving away this beautiful honey dish just in time for Rosh Hashanah to one lucky reader! Simply write a comment at the end of this post with your name and e-mail. You have until Friday, September 7. We'll announce the winner on Monday, September 10. Good luck! What a beautiful dish. I love when social activism and art combine! I love Gary Rosenthal! We not only have several pieces of his, we twice participated in the hiddur mitzvah project. Thanks for sharing his story and for always enriching our holiday celebrations and decor. oh my gosh, how i would love to bring this to my mom's dinner! We received some of his Judaica for our wedding, so lovely! ebravermanplotkin @ gmail.com Thanks! I have received a couple of pieces as gifts and they are very special to me. My favorite piece is a Shabbat Candle holder I made at a URJ Biennial. I used it today with my preschoolers! The dish is gorgeous! Beautiful piece! 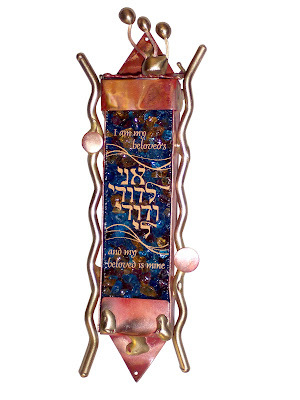 I love Gary Rosenthal's judaica! Thanks for this beautiful interview. I love contemporary Jewish art and the honey dish is so fluid and alive. The honey dish is so fluid and alive. Its beautiful. I absolutely love this artist work. It speaks to the soul and my heart wants this so bad. What a great giveaway! I really enjoyed reading this interview. Delicious designs. I think there's a new mezuzzah in my near future. Hopefully a honey bowl, too. . .